For those of you wishing to visit Healthwatch Harrow we encourage you to use public transport whenever possible. 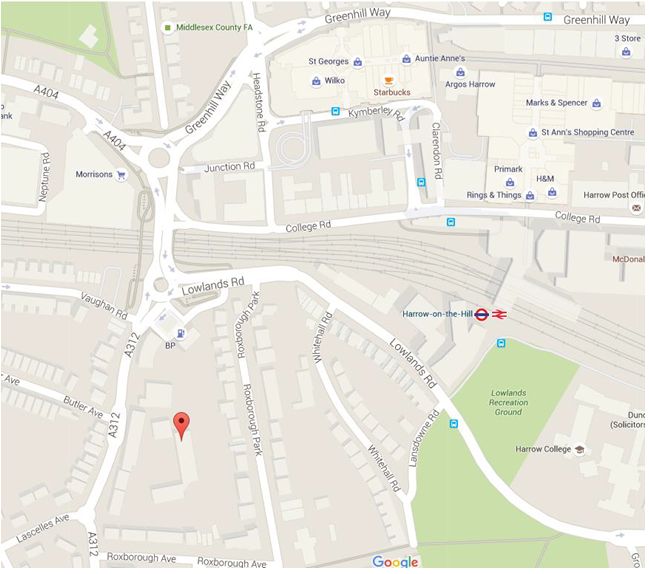 Healthwatch Harrow is 10 minutes walking distance from Harrow on the Hill underground station on the Metropolitan line. Pay and Display parking is available on Vaughan Road and is a 3 minute walk to the office. Alternatively you can park in either St. Ann’s or St. George’s Shopping Centre car parks where charges will apply. If you are disabled and require parking onsite please call us on 020 3432 2889 or email us at info@healthwatchharrow.co.uk and we will try and arrange a suitable solution.